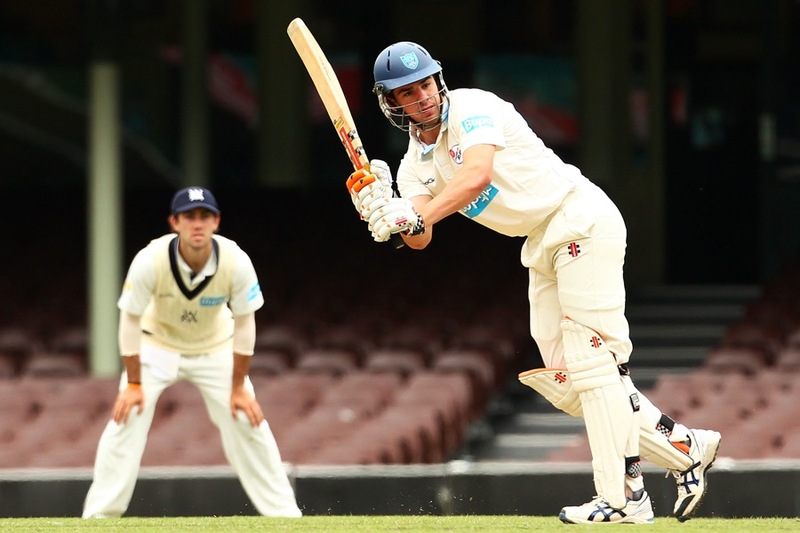 Captain Moises Henriques slammed his fourth first-class ton to help New South Wales post a sizeable total in their first innings at the WACA Ground against Western Australia. Henriques and Peter Nevill raised 142 runs for the fifth wicket after the visitors had resumed the second day on 4 for 225. Once both the batsmen were dismissed inside three overs, there was little resistance from the lower order save for a 26-ball 34 from Sean Abbott. Western Australia, losing Marcus Harris in the third over, forsook speed for solidity, scoring at just a shade over two runs an over in their reply. Cameron Bancroft and Michael Klinger dug in patiently for an unbroken 52-run association.